In every sector of the economy and throughout society, data innovation is powering the development of new insights that improve decisionmaking, enable new products and services, and enhance quality of life. Government may not be the main engine of this innovation, but it can and should play a vital role in accelerating and shaping the use of data to boost economic growth and produce public benefits. Few if any organizations in the world are as capable of collecting, managing, analyzing, and safeguarding data of all kinds as is the U.S. government. Moreover, while the 114th Congress will face many difficult and divisive policy decisions, a number of opportunities exist to foster data innovation without controversy. These are therefore ripe for bipartisan action. This report outlines 12 such opportunities. Each represents an actionable recommendation that Congress can realistically accomplish in 2015 to extend the benefits of data innovation to the public, industry or government. 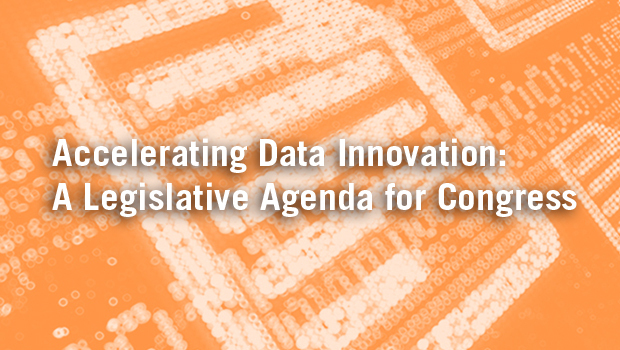 This agenda is not intended to be an exhaustive list of everything Congress could possibly accomplish on data issues; rather it is a timely to-do list for policymakers looking to proactively support data-driven innovation. These are specific policy recommendations with clear paths to success. Many have already withstood scrutiny by industry groups, nonprofits, and other stakeholders. And all would generate economic and social improvements, whether by promoting government transparency, reducing inefficiencies in healthcare, empowering consumers, or creating new business opportunities for the private sector.